Once upon a time, one of hip-hop’s most outside-the-box creatives dreamt up an idea to elevate rap appreciation by creating a hip-hop Ark of the Covenant. When it was announced two years ago that the fabled Wu-Tang Clan would be releasing an ultra-limited album entitled Once Upon A Time In Shaolin…, a project conceived by RZA and Wu affiliate Tarik “Cilvaringz” Azzougarh that would feature all members of the Clan, it sounded like exactly the kind of undertaking you’d expect from a guy who corralled a nine-man rap crew with an aesthetic that combined Five-Percenter teachings with Kung Fu Theater and numerology. RZA aka Zig Zag Ziglar aka Bobby Digital aka Robert Diggs is most definitely an idea guy. Few would ever accuse RZA of not being ambitious, but when the Wu-Tang Clan’s head honcho announced that he and the group would be releasing a one-of-a-kind double-album for between $1-5 million, many skeptics scoffed at the hyper-ambitious enterprise. 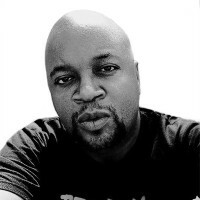 Born of Cilvaring’s belief that the Renaissance approach to music as a commissioned commodity could be applied to a contemporary album release, only a single copy of Once Upon A Time In Shaolin was created. This was a “secret” Wu album which had its genesis back in 2007, and the subsequent details revealed just how ornate and elaborate this entire undertaking would be. The album would be auctioned off by the Paddle8 auction house but was locked away in a vault at the Royal Mansour Hotel in Marrakech, Morocco. Purchasing this unique box set, the buyer also gets a 174-page, leather-wrapped book of liner notes and the full tracklisting. British Moroccan artist Yahya designed the LP’s silver-and-nickel-plated box and jewel case. RZA explained his vision back in March. The purchaser of the album cannot release it commercially for 88 years. Oh, and the nickel-and-silver plated boxed album also includes $55,000 PMC MB2-XBD speakers. The idea may have seemed pretentious or just gimmicky, but it’s also presented a unique opportunity to elevate a piece of hip-hop to the status of high art without forcing it to “age” via the typical ways we view “classic” popular music. This isn’t a vintage LP of an early Wu-Tang single or lost tracks that have been compiled for one-time-only release via a rarities box set. This is an album recorded by the Wu, and instead of treating it like a disposable piece of pop, they’re forcing you to appreciate it as you would a fine wine or rare portrait. It’s all very heady-sounding stuff, but it’s a unique method of reimagining the way we view popular music in general and hip-hop specifically. And don’t worry—you may be able to hear Once Upon A Time In Shaolin in your lifetime. After Wu member Method Man criticized the 88-year ban, the group released a statement saying that the owner of the albums had the right to distribute its contents for free, or host free album listening parties. Forbes reported that the album was “sold to an American buyer for an undisclosed figure in the millions.” Rumors are swirling that the wealthy American was filmmaker and RZA buddy Quentin Tarantino, but the purchaser is less important than the commendable audacity of a rap group presenting itself and its art in a way that demands a different level of appreciation and/or scrutiny. In an era when popular music is more accessible than ever, it’s difficult to imagine ever expecting music—even when it’s in tangible formats like CDs—to achieve the venerable stature reserved for rare paintings or sculptures. Some would say that it shouldn’t, but certain art can be dismissed as simple entertainment despite the blood, sweat, and tears that went into making it. We can reduce a great song to just a frivolous 3 ½-minute bit of escapism, but if that song came from the soul and spirit of an artist who sacrificed much to record it, there’s no reason to think it shouldn’t be as respected as any other form of art. At a time when we can stream anything the minute it’s released and forget about it almost as quickly, there should be artists willing to present their art in a way that makes us rethink how we consume it. Now, that doesn’t mean the world needs a plethora of ornate rap vanity projects, but we should celebrate the spirit of innovation in commercial art. In the same way that Pete Townshend attempted to reshape the way fans interacted with rock music via his famously abandoned Lifehouse project, RZA has reshaped the way fans value hip-hop music via his fully-realized Once Upon A Time Shaolin. And from an artist as ambitious as RZA and a crew as historically bold as the Wu, should anyone expect anything less?